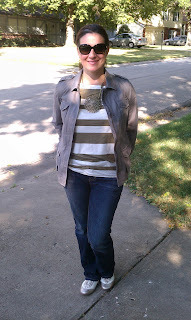 A couple of months ago I blogged about the adorable nautical line from ModCloth and the items I was hoping to purchase. Well, I made my first purchase and finally got to wear the bold Chevron print skirt! I love this skirt! The colors are perfect for summer, the print is quickly becoming one of my favorites and it's pieces like this that make me wish I lived closer to the ocean. Can't you see this at a clam bake or sailing around the sea? Since I don't live close to any body of water, other than the public pool, I have alternate plans for styling this skirt! 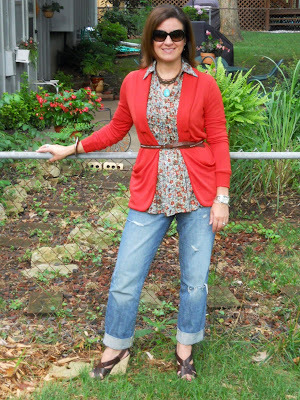 For this major spring day, temps soared into the 80s, I paired it with the perfect tee from StyleMint. I wish I had ordered at least three because finding the perfect tee is like finding the perfect jean. And because the skirt came from ModCloth, I needed to add a few vintage pieces. My mom's denim jacket and sweet bird necklace were right on the money! And I added a bright red lip because don't all vintage inspired looks need a red lip? I love spring, especially when it finally comes around on the weekend! Sunday is the day in our house where we put errands and chores aside! When the weather is nice we head to the zoo. This Sunday was no exception. It was a gorgeous 75 but it didn't start out that way. This time of year is hard. Cool in the morning and beautiful by afternoon makes it a challenge to dress appropriately. As much as I love wearing my boyfriend jeans, I wanted something different. I was going to wear my yellow leopard jeans, but decided to try on these khakis to see if they would fit. THEY DID!! I haven't worn these pants since our trip to Vegas in 2010 and I was super thin at that time. (Super thin in Andrea's world!) I'm not super thin today, but these things fit and it wasn't a just-fit! I'm afraid to wash them for fear they won't fit again, but at least I got this wear out them! 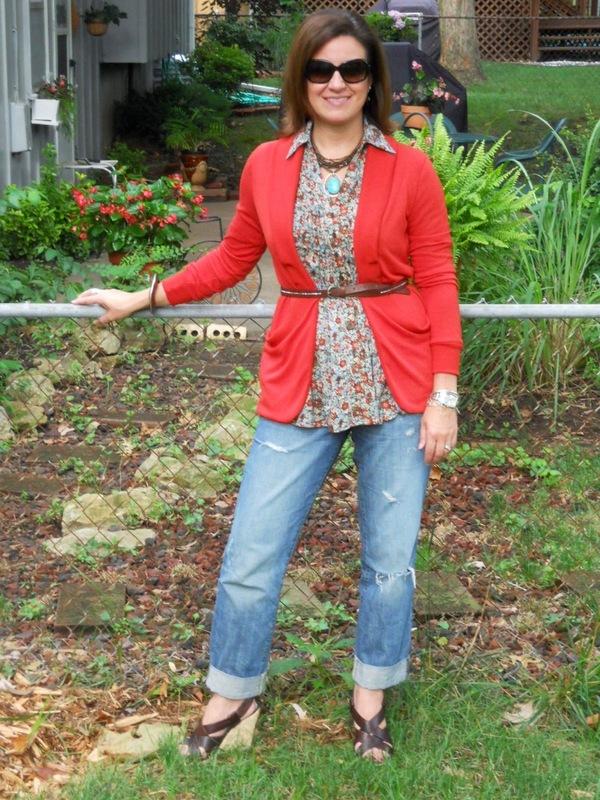 This top is one of my favorites and I love orange and khaki together. I threw on the hat and aviators for a touch of cool and the Converse tennies complete the look! 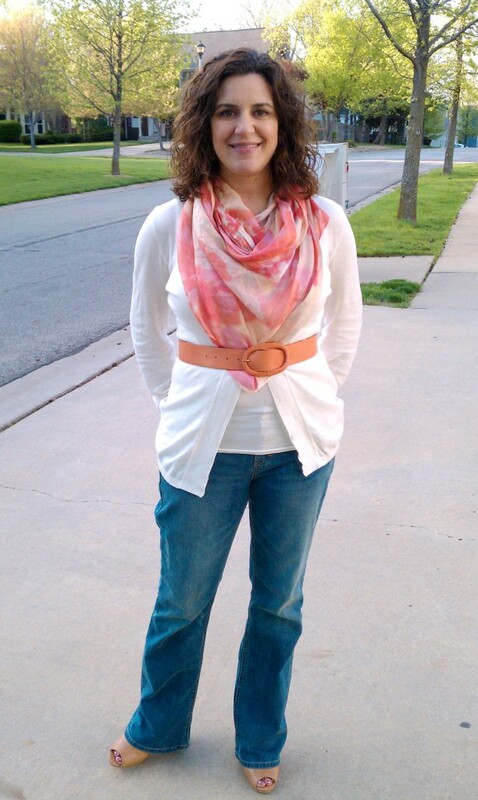 Yesterday was a gorgeous spring day and I couldn't have worn a more appropriate look! This sunny yellow skirt represents just how sunny the day was and the lady like lace is a big trend for spring. 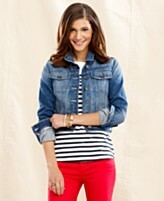 The stripe tee gets a little dressed up but the denim jacket helps keep it grounded. And, it kept the chill at bay. In keeping with yesterday's blog post, this is definitely a way to wear layers without losing the cute outfit you pulled together. If anything, it added that finishing touch! Sometimes I get stumped on what to blog about and today was no exception. I know you have to get tired of seeing daily outfits that mean nothing to you so I try to mix things up from time to time like blogging about other things. Today's topic was brought to me by my good friend Christina. 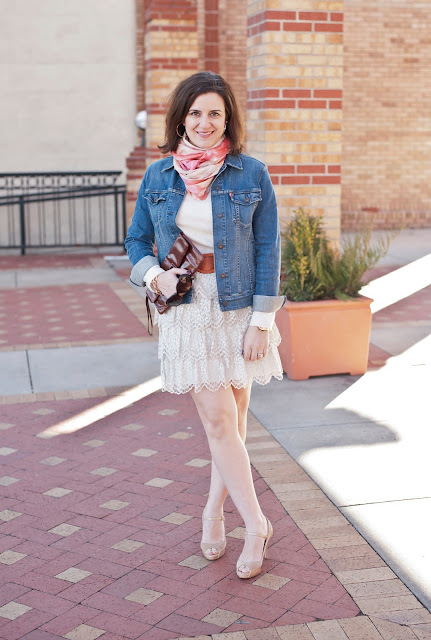 Stumped by how to layer in warmer temps she said "I am so excited for summer, but sometimes I think it's hard to not ruin my warm weather looks when I'm in an air-conditioned place. 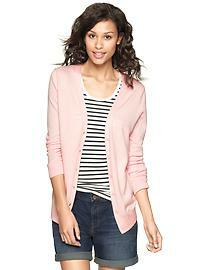 I try cardigans, jackets etc...but sometimes I feel like when I do that, I mess up the cute summer look." I have the same issue. I'm cold all year long! It can be 90 outside, and if there is a slight breeze that hits me the wrong way, I'm cold. Crazy I know, but it's true. Just ask my husband. 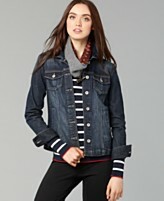 Layering for warmer temps can be tricky. Like Christina said, it can mess up a cute summer look. But it doesn't have to! Here are some tried and true layering tips from Style My Way that will help you stay warm, and stylish, all spring and summer long! I am a huge fan of the denim jacket! A long time staple in my closet and the ultimate layering piece. It isn't terribly bulky, won't overheat you and adds a finishing touch. And, they come in so many washes and lengths. 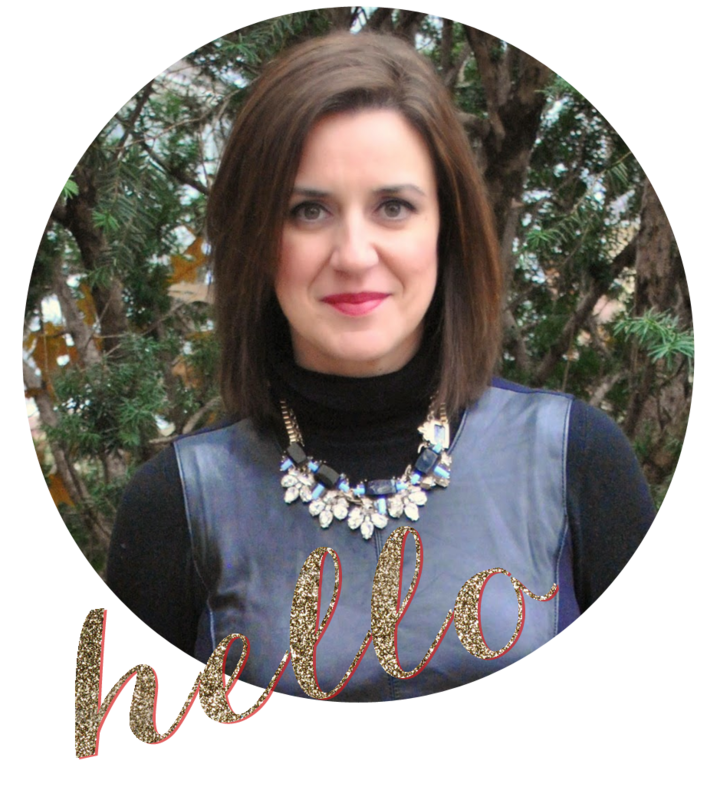 I am a firm believer that you need one in a light and dark wash, as well as varying lengths. 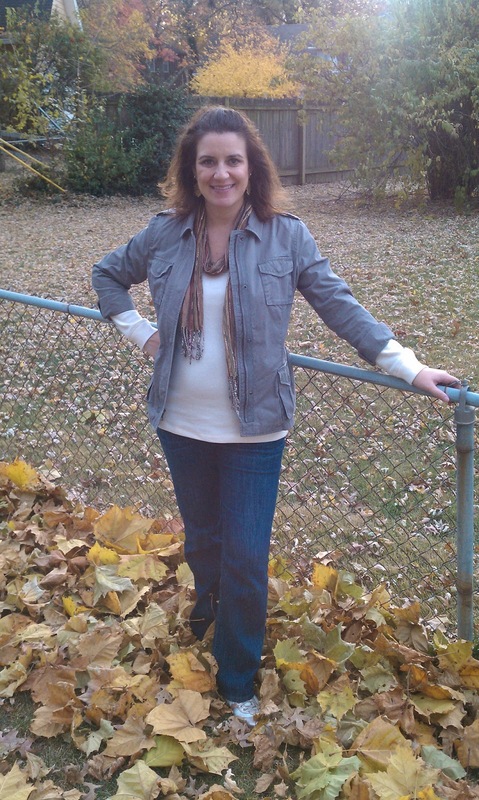 Another version of the denim jacket is white. I know, kind of 90s in reference, but it really does pop against the bright fabrics of summer! 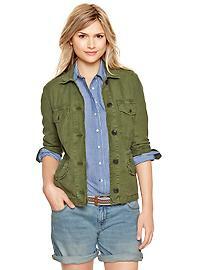 I would pair a denim jacket with just about anything and I think I have! 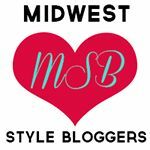 Here are just a few ways I've styled mine. 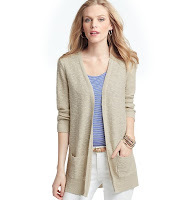 I love a good cardigan but they can be tricky. As Kendi, from Kendi Everyday wrote, longer ones are better as a shorter version can make you look a little matronly. (I'm paraphrasing, but you can see the whole post here.) I have to agree. What's great about longer cardigans is the fact that you can belt them, button a couple of the middle buttons or simply leave them open. I prefer lighter weight fabrics for summer, for obvious reasons, and I would stick with a solid. 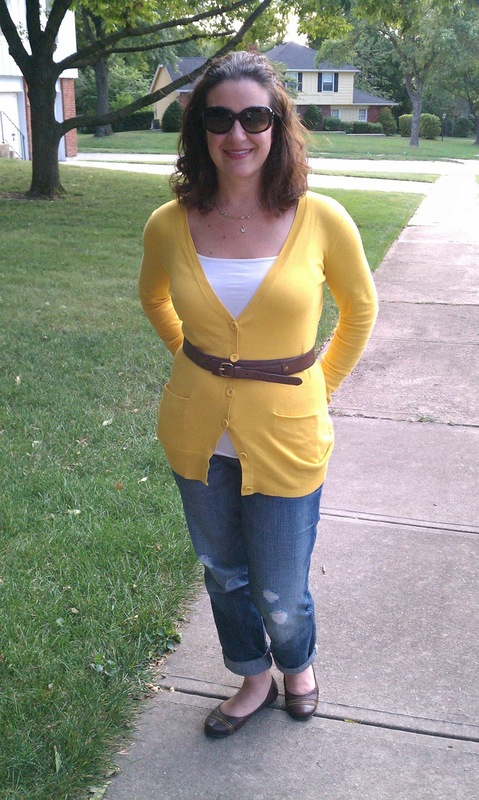 Style a long cardigan over dresses, with jeans, a tee and fun belt or with colorful shorts, a tee and chunky necklace. Here are ways I've worn mine in the past. I was apprehensive when I first purchased mine but it turns out it was one of my best investments! 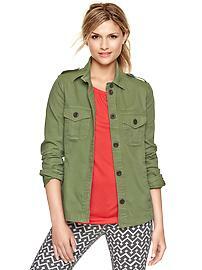 The thing about a military jacket is that it's super light weight and the khaki/green color is such a great neutral! 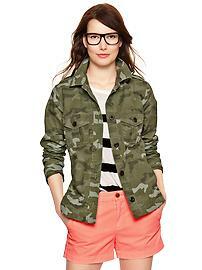 And with camouflage being such a big trend right now, a camo version would be darling as well. I personally have only worn mine with jeans and different tops, but I've seen fellow bloggers wear theirs over dresses and paired with skirts. I don't know why I'm so scared to try it that way, but they always make it look super cute. I think I need to break out it this spring to see how I can make it my own. Until then, here is how I've worn mine. Are you feeling better about layering for warmer weather? For me, I have a few new ideas that I can't wait to try styling in the coming weeks, if spring ever decides to surface! 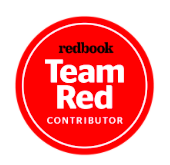 I definitely get a lot of my inspiration from bloggers I follow, as well as from fashion mags and retailers websites. Don't be afraid to borrow a look that you like! Just add a little something here or there to make it more you! And share you stylings. I love to see what you guys wear! In the 80s we called it a Fanny Pack and it was the number one accessory among tourists, other than a camera. It was the way to go hands-free during your trip and it came in a large array of cotton and nylon designs. In a word, ugly! 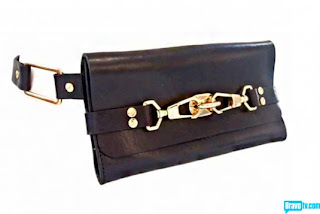 Today, designers are updating the "fanny pack" to a be a more sleek and stylish way of going hands-free and it is the must-have item for spring. As an on-the-go mom, I rarely carry a handbag when I have McKinley with me. If it doesn't fit in the diaper bag, or the cross-body bag I carry when I want something a little smaller, I don't pack it. I'm seriously considering investing in this trendy bag. And, anything that doubles as a cool belt can't be all bad, right? Here are just a few that I like! The Rachel Zoe Belt Bag is the epitome of chic! I love the brass hardware and tough black leather. Definitely a front runner. Michael Kors seems to have the market on a belt bag! Just look at the leather, details and funky designs! Something for everyone. I personally love the brown pouch on the bottom right corner! 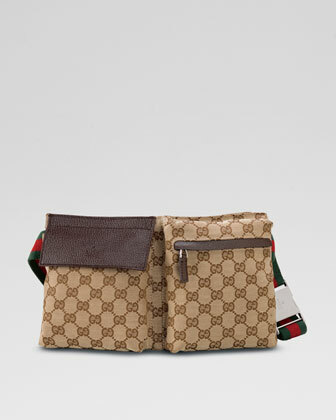 Lastly is the Gucci belt bag. If you go designer, go Gucci! And it's chocked full of original details like the brown double G's and their red and green signature stripe. I also love that it has a zipper on one side and a flap on the other. Double the stuff you take along! What do you think of the new trend? Would you wear the new and improved Fanny Pack? 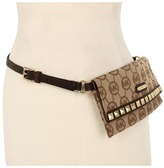 Based on the style above, the Belt Bag just might make its way into my closet among all the other handbags I own! Check out ShopStyle for the Rachel Zoe and Michael Kors bags. Nieman Marcus for the Gucci! The Rachel Zoe bag photo courtesy of Bravo TV. It's Time to Wear White! !